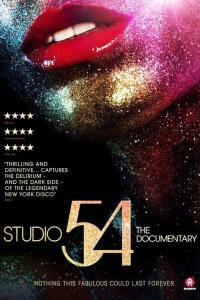 "[A] thrilling and definitive documentary [that] captures the delirium — and the dark side — of the legendary New York disco, and imprints us with an indelible portrait of the nightclub that became the apotheosis of the disco era: the freedom, the excess, the aristocracy, the pulsating pop glory.͟—Variety Studio 54 was the epicentre of 70s hedonism - a place that not only redefined the nightclub, but also came to symbolise an entire era. Its co-owners, Ian Schrager and Steve Rubell, two Jewish friends from Brooklyn, seemed to come out of nowhere to suddenly preside over a new kind of New York society. Now, 39 years after the velvet rope was first slung across the club͛s hallowed threshold, this feature documentary tells the real story behind the greatest club of all time.